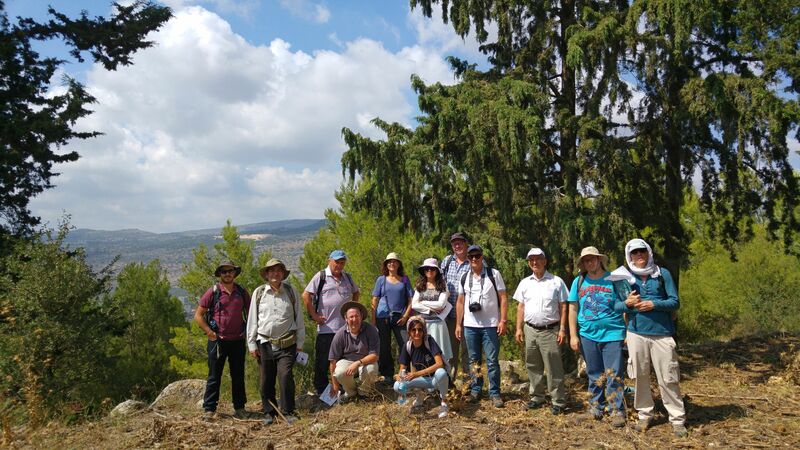 A week after the two-day trip to the Carmel region, I went on yet another field trip offered by my department at Bar Ilan University. 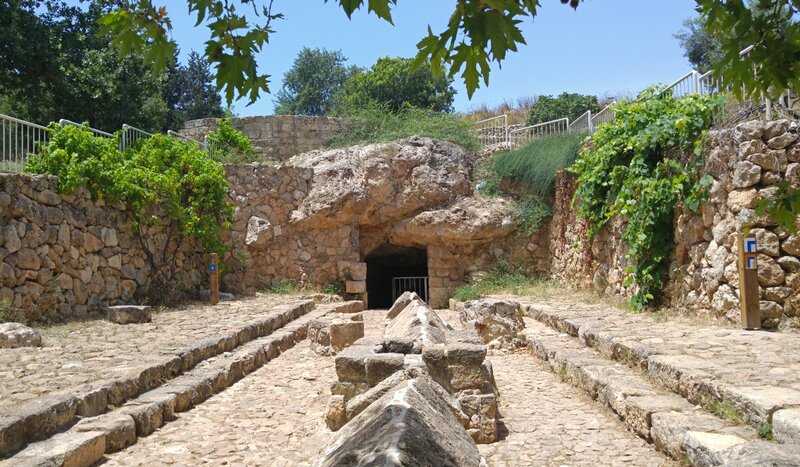 Led by Dr Shawn Zelig-Aster, a Biblical scholar, we were taken to a series of historical and archaeological sites around the Lower Galilee, all having a shared theme: the campaign of Assyrian king Tiglath-Pileser III. Expanding the Neo-Assyrian empire by way of conquest, the king invaded Israel from the north down the coastline until Egypt and then systematically conquered and exiled the inhabitants of the Israelite cities. 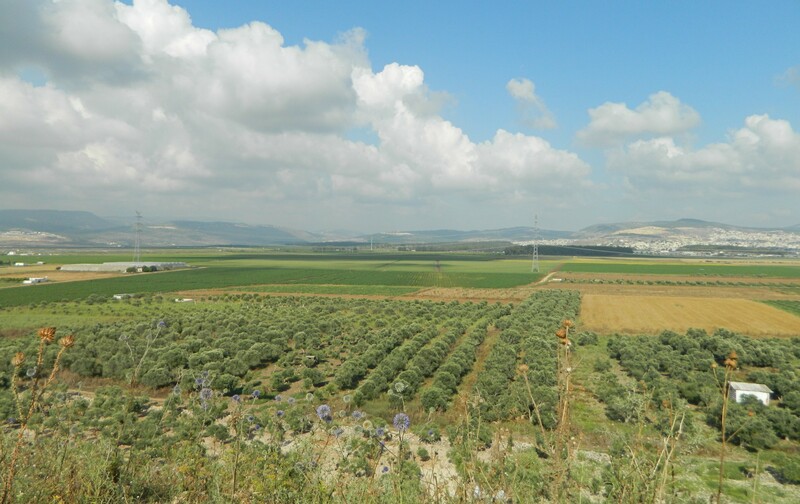 We too headed north from the campus, not far from Tel Aviv, and made our way to the Lower Galilee. Stopping to pick up a few more students in the Yokneam area, we admired the tel and a short-toed eagle from the comfort of our tour bus and continued on to our first site of the day: Tel Shimron. 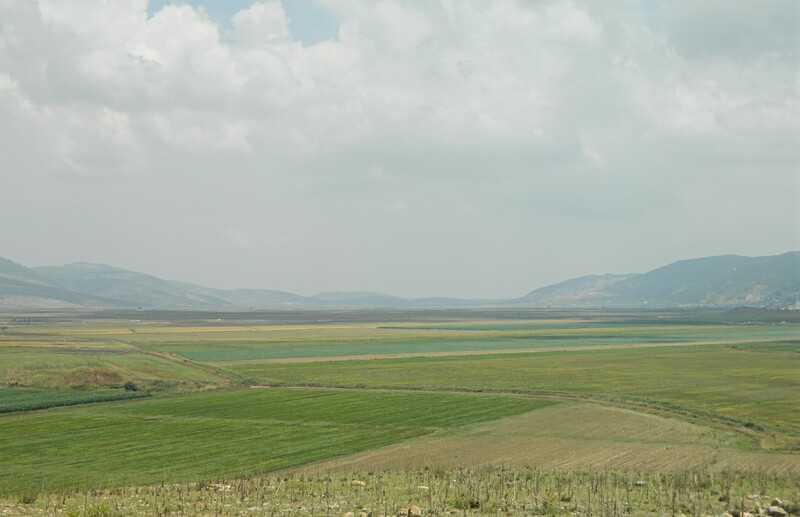 Located not far from Nahalal, the tel commands an impressive view of the western end of the Jezreel Valley, a prime strategic location. First settled in prehistoric times, the tel continued to be occupied during the Bronze Age, at the end of which the city’s acropolis was built. 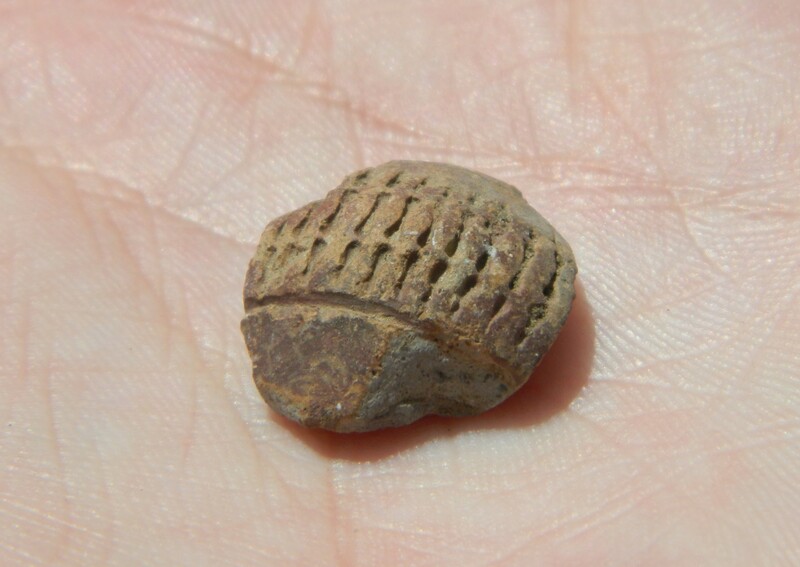 The city was mentioned in the famous El-Amarna letters found in Egypt in 1888, as well as biblically as one of the Canaanite city-states that sent an army to defeat the Israelites crossing into the land. 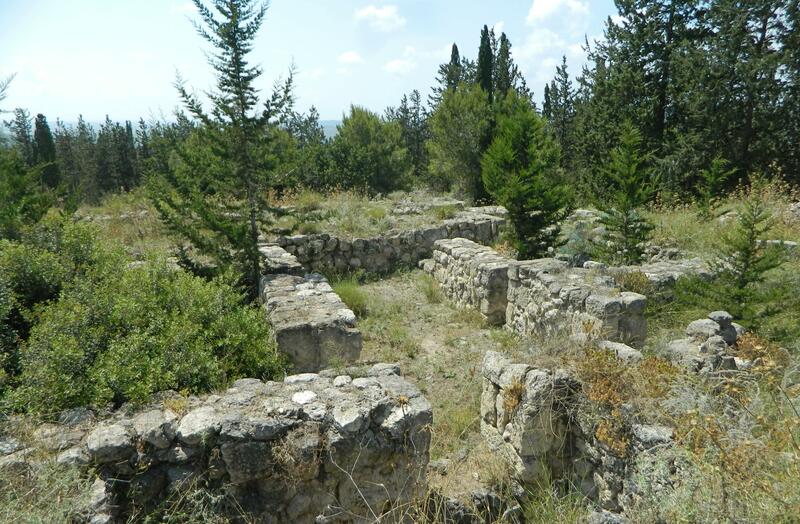 Shimron continued to see significant human settlement throughout the Iron Age and Roman period, as well as downsizing to be an Ottoman and subsequently German Templar village in more recent years. We arrived at the tel and climbed up, surveying our surroundings and the seasonally-uncharacteristic cloudy skies which released a small sprinkling of dirty rain. 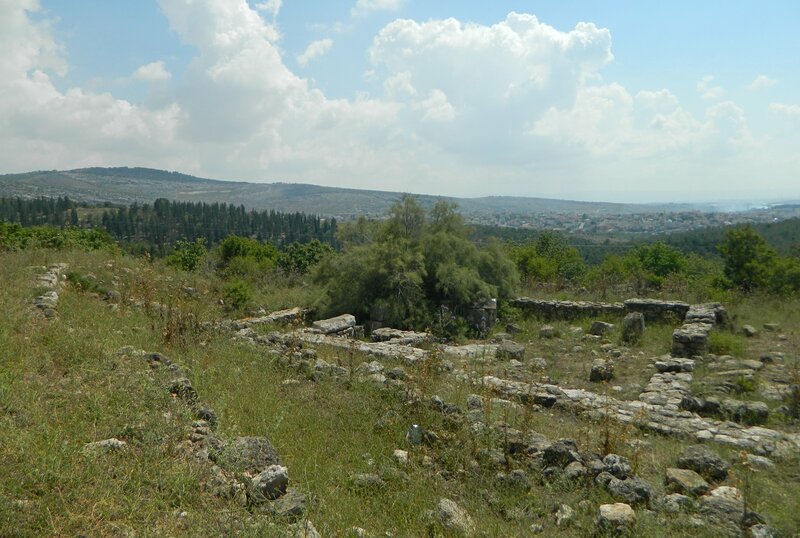 Dr Zelig-Aster then explained to us the importance of the site, owing to its strategic location overlooking the valleys – and thereby the roads – and the biblical mentionings that accompanied Shimron’s past. 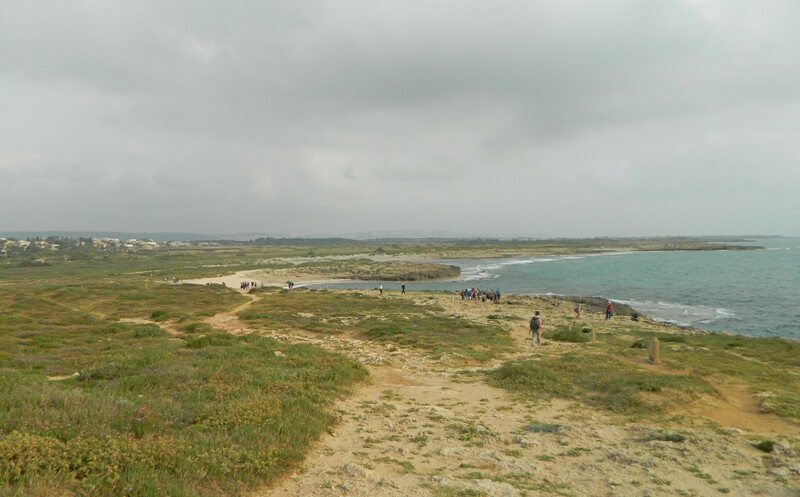 We concluded by taking a short walk around the top of the tel and noting where the most recent archaeological expedition has begun work last year (see their aerial video of the site HERE). Having many more sites to visit, we got back into our bus and were driven to Nachal Zippori, where we disembarked at the side of a newly paved access road. 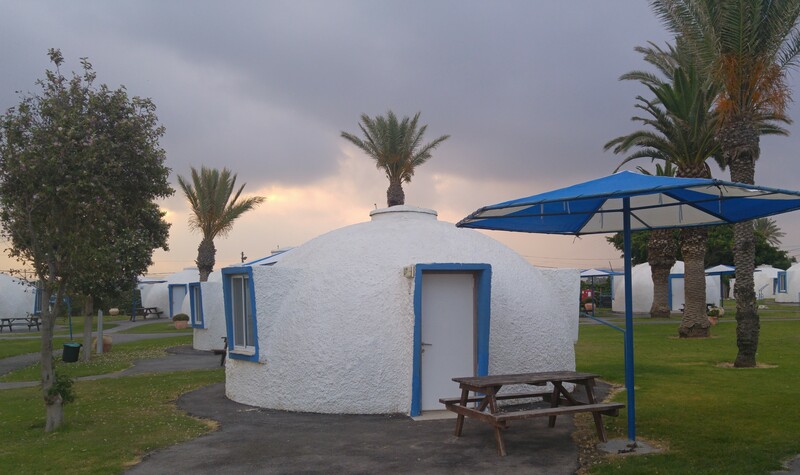 We first came across the old British Mandate pump house, complete with the old pump still inside. 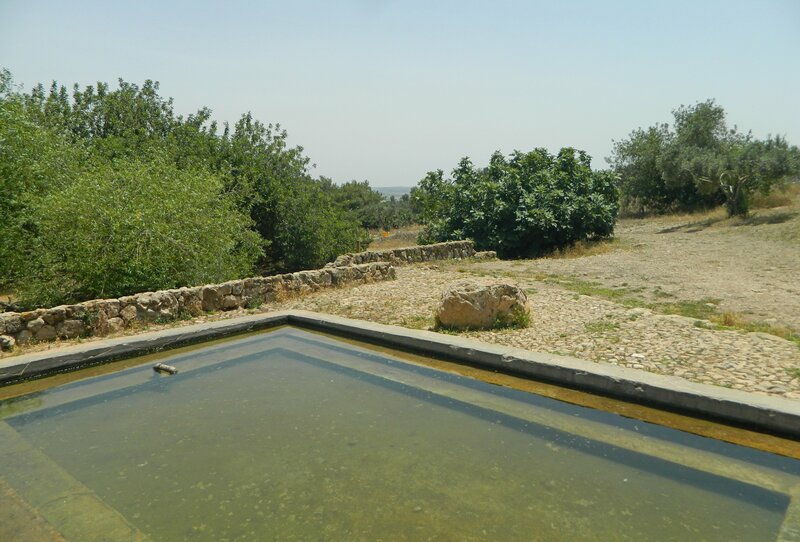 We crossed into the small field, overgrown with blossoming silverleaf nightshade, and walked until we reached Einot Zippori (or Zippori Springs) where a small ancient structure stands. 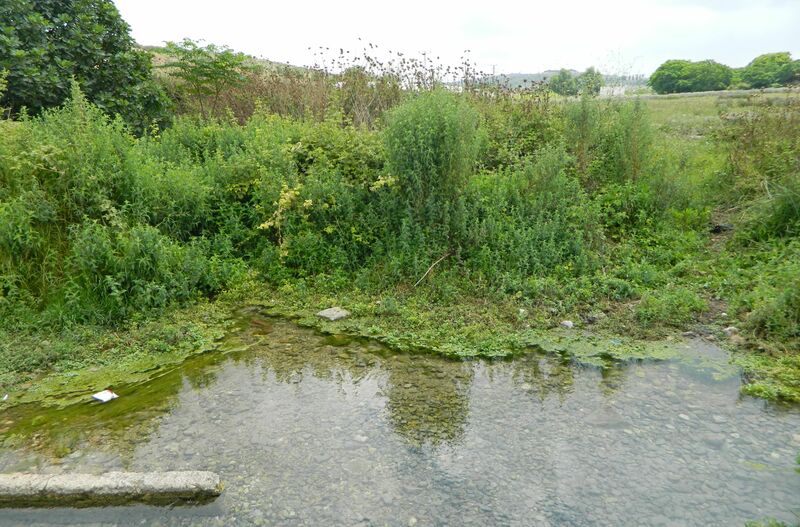 There, water comes forth from the ground and flows away from the small, crystal-clear pool at the structure. We watched some tiny fish and a river crab as they explored their watery world. Moving along, we followed a tiny aqueduct that carries that cold spring water, and boarded our bus once again to be taken to the next site. 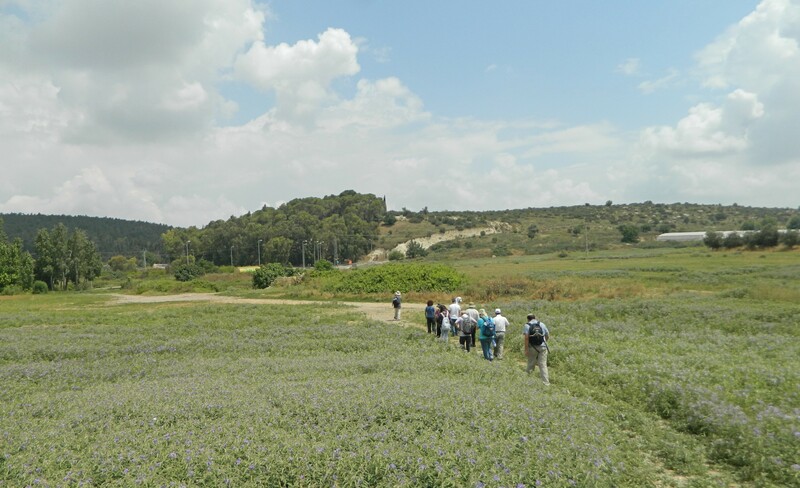 Our next stop was Tel Hanaton, a large hill surrounded by agricultural fields and the Eshkol Reservoir. We approached from the west passing a Bedouin encampment as we climbed the tel. 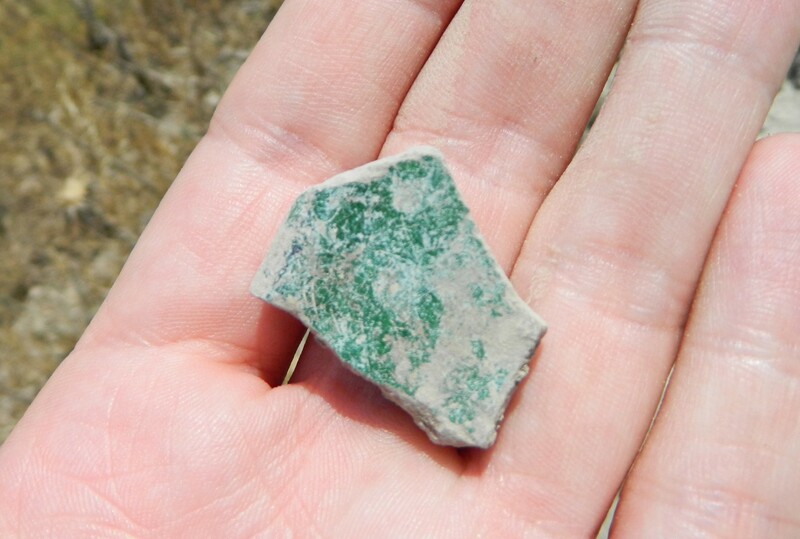 Seeing the start of habitation in the Early Bronze Age, and then becoming a heavily fortified city in the Middle and Late Bronze Ages, this city was mentioned as well in the El-Amarna letters. 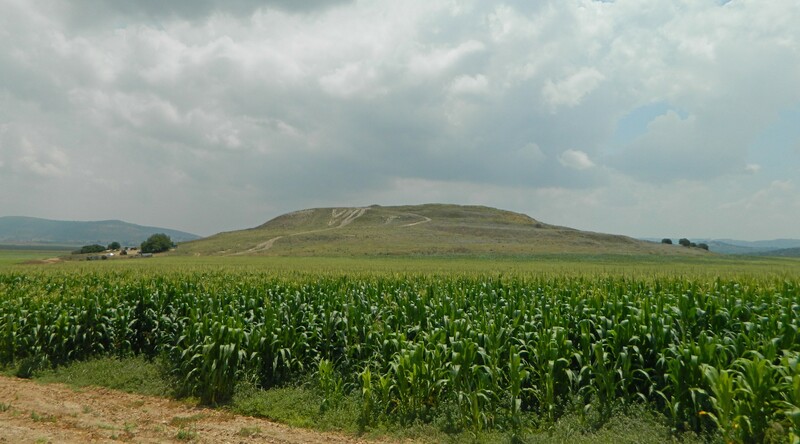 In the Iron Age Hanaton was apparently conquered by the aforementioned Tiglath-Pileser III and the city was thereby relocated to the bottom of the hill in the Hellenistic and Roman eras. During the Crusader period a fortified farmhouse was constructed atop the tel, and near it a khan was built in the subsequent Mamluk and Ottoman periods. We sat at the top of the tel and studied ancient texts citing Hanaton, while crested larks and swallows entertained us with their presence. We passed by the Crusader ruins, noting a passage into the buried rooms, but did not enter. 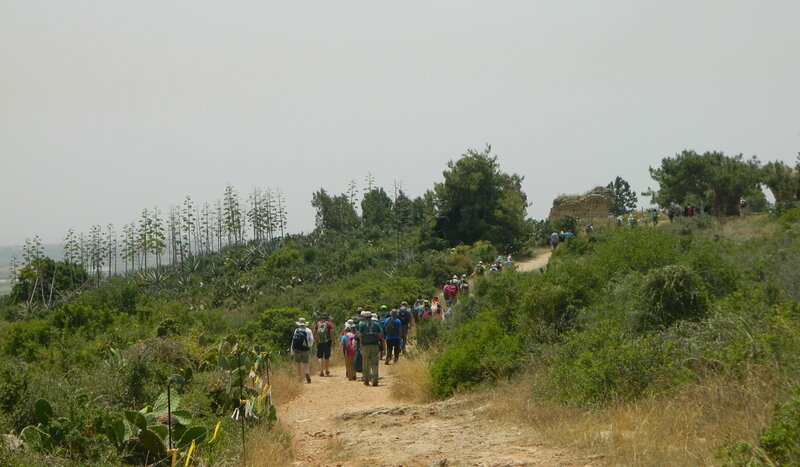 Our tour continued along the circular tel trail, as to enjoy and properly understand the tel’s geographical and topographical setting, and we headed back to our bus. Enjoying our lunch in Ya’ad, a small moshav near Karmiel, we refueled ourselves for the final two destinations of the day. 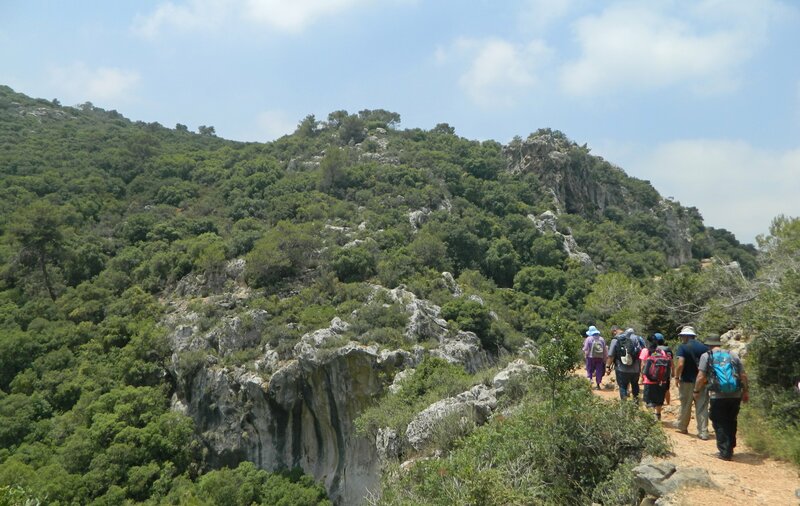 Our bus shuttled us over to the area of Horvat Rosh Zayit, and we walked the rest of the way alongside Road 805 and the region’s elegant pine trees. 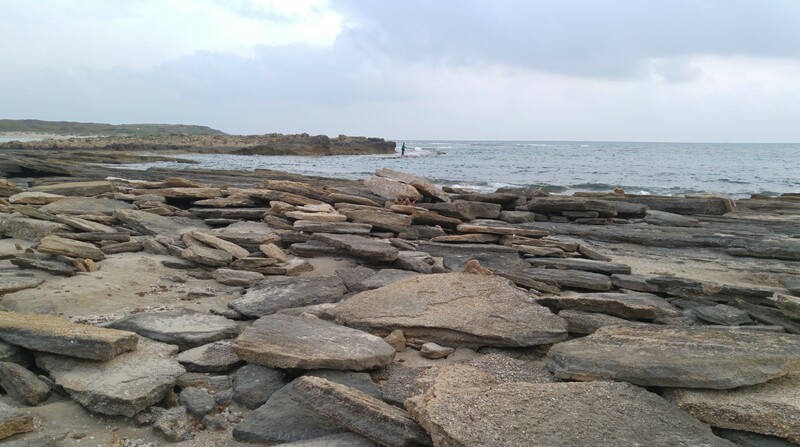 At last we arrived at a sign that announced the presence of a Phoenician fortress, which we were excited to see. 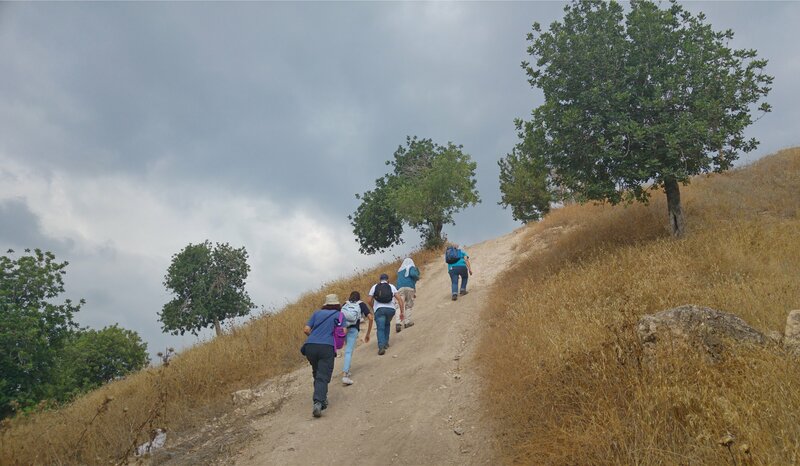 Our excitement paid off, for a few minutes later we were standing within the ancient stone walls of the fortress, examining the architectural layout and learning more about the historical associations of ancient kings Solomon, Hiram and Tiglath-Pileser III. 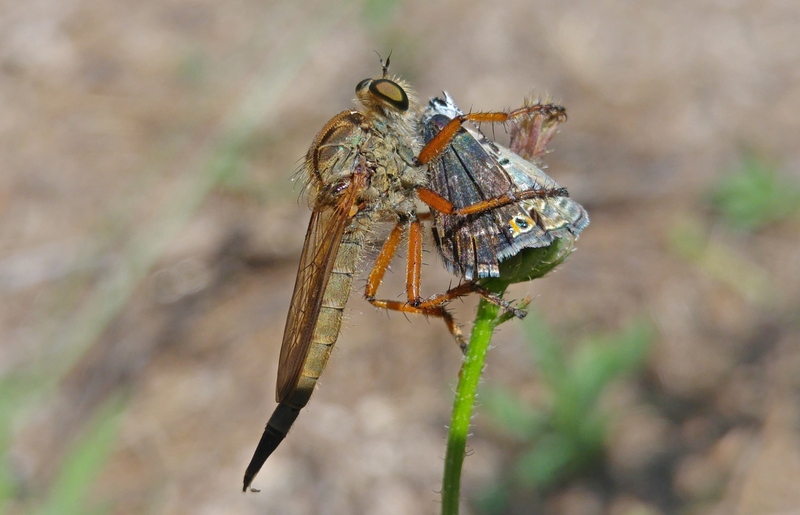 While the others were caught up in discussion, I found myself distracted by a robber fly holding a small butterfly in its grasp. I crept up to it as close as I could, even warding off an unsuspecting party member’s shoe, and managed to take this photograph with my phone camera. When we had seen and discussed enough at the fortress we moved on to the next set of ruins, just a short walk away. 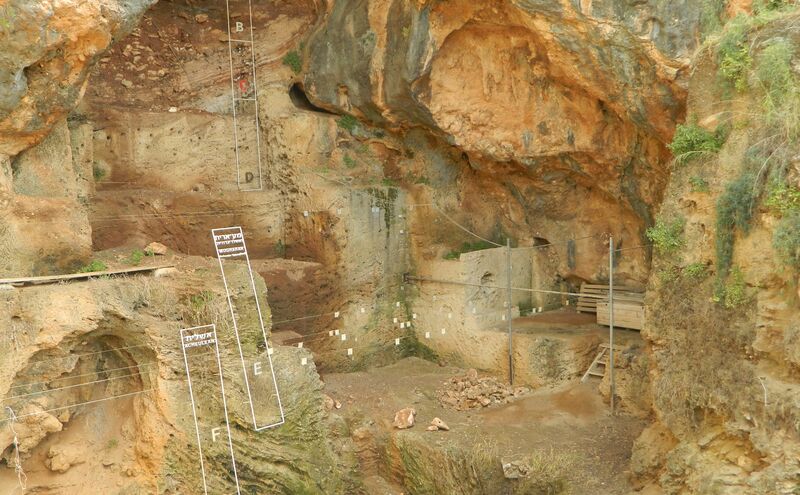 These were much smaller, comprised of just a singular, reconstructed room and believed to have served a cultic purpose, due to the findings including figurine fragments, also dated to the Iron Age. The final set of ruins was just a few paces downhill, a multi-room structure with olive oil installations. In fact, there were other ancient agricultural installations to be found in the area around the ruins, which is always interesting to see. We walked around a bit more, enjoying the area and the view, and then made our way back to the bus. 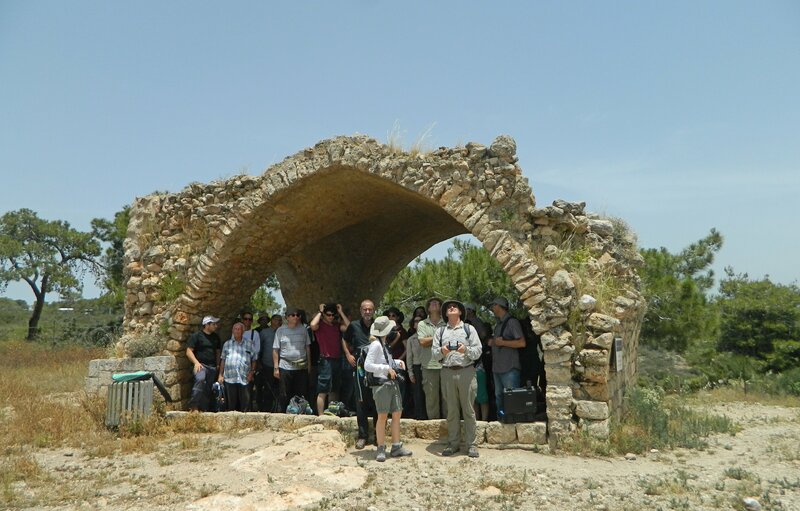 The next, and final, stop of the day was the nearby Tel Keisan, a large hill located about halfway from Horvat Rosh Zayit and the Mediterranean Sea. We drove the narrow access roads until we were just a couple hundred metres from the tel and from there we continued on foot, taking note of the cattle egrets hunting in the fields beside us. We reached the foot of the tel and began the ascent, taking the path that divides the hill into two. 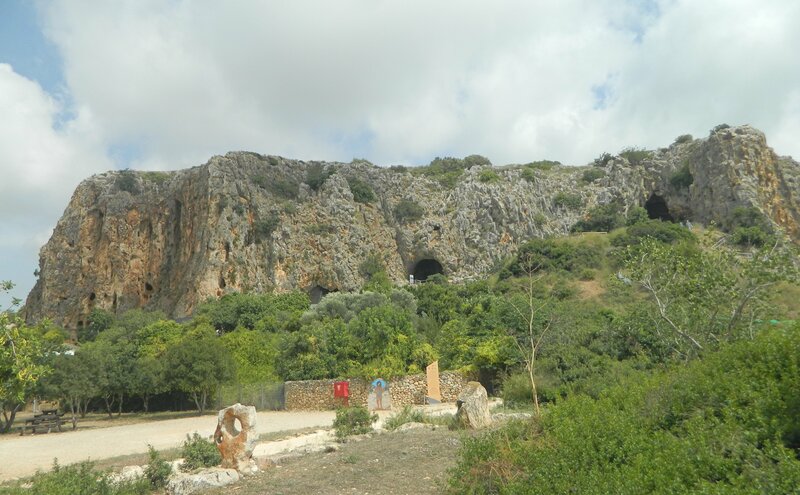 We gathered beneath some olive trees, taking refuge from the sun and our guide began to teach us about the site’s historical and geographical importance. 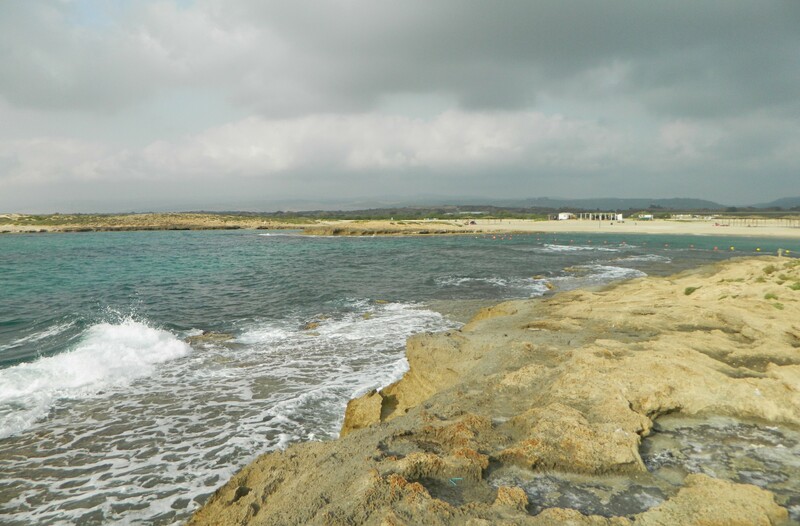 First settled in prehistoric times, the site saw large growth in the Middle Bronze Age and then became a large Phoenician city during the Iron Age. The identity of the tel is a debate, with the choices being either one of two possible names mentioned in the Bible: Achsaf or Kabul. 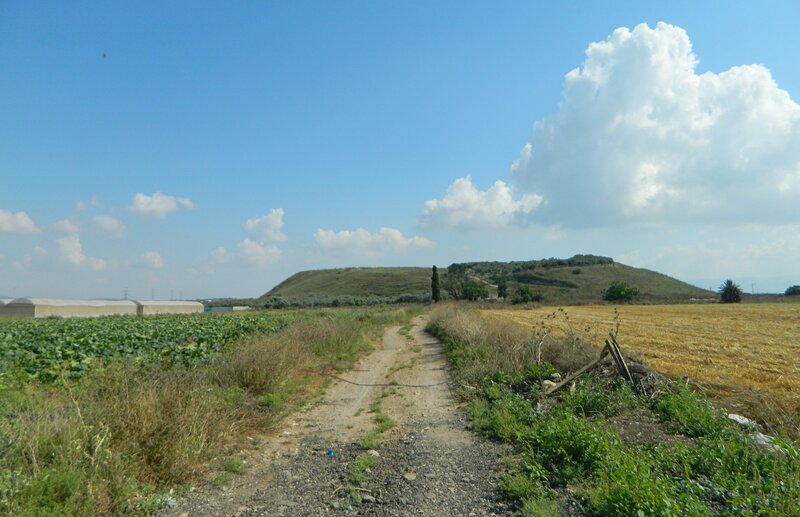 In later periods, such as the Hellenistic and Persian, the city was expanded even more and, subsequently, a paved Roman road passed by to the west. 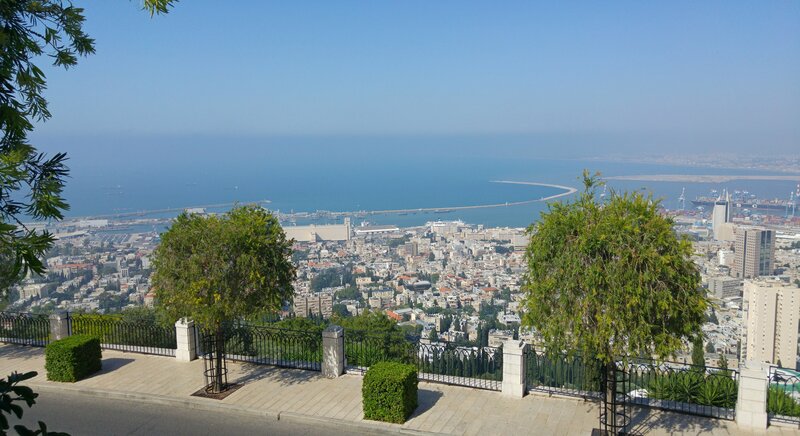 Interested as I am in Crusader history and archaeology, I was fascinated to learn that this hilltop is where the famous Ayyubid ruler Saladin encamped when he laid siege on the Crusaders besieging the Muslim-held port city of Akko. The Crusader force, led by King Richard the Lionheart and King Philip II on Akko, eventually succeeded in conquering the city and the battle arena moved further south as the Franks continued on to Jerusalem. 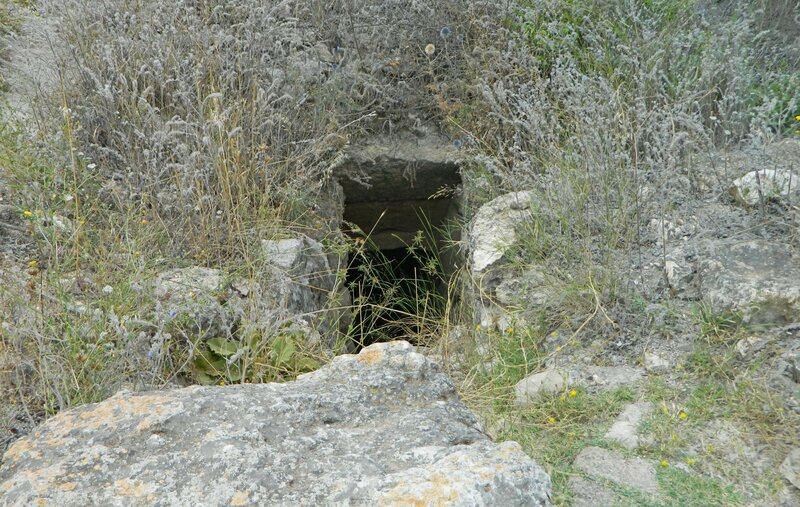 Perhaps equally interesting, this is where the ring of the Ramban, a medieval Jewish sage who hailed from Spain, was found, apparently lost on the slopes of the tel. Fascinating as history is, I couldn’t help but be distracted by a quite unexpected avian visitor. 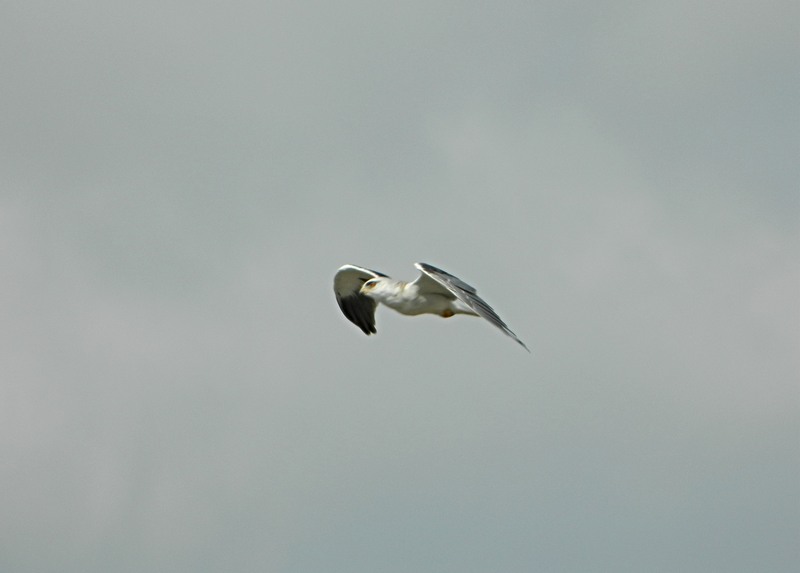 A black-shouldered kite had appeared over the thistle field that covers the eastern side of the tel. I watched enraptured, alternating between my binoculars and my camera, as I attempted to make the most out of this fun sighting. Unfortunately the bird flew away after making a number of unsuccessful hunting attempts and we enjoyed some watermelon, procured for us by our very own Dr Zelig-Aster. 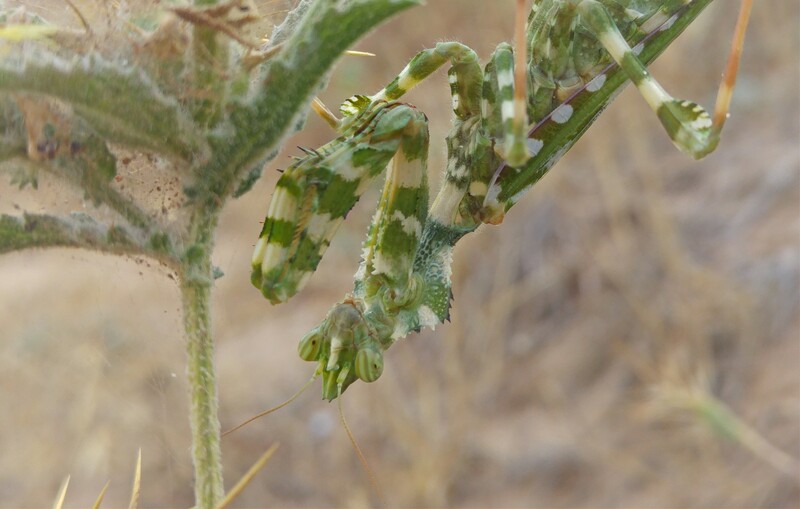 Satisfied with the refreshing melon, we moved on over to the eastern edge of the tel to enjoy the view and the painted lady butterflies (and to examine discarded potsherds littering the ground) and then headed back down the tel towards our bus. It was getting late and we had seen so much already that day, and there was still quite the drive back to Givat Shmuel. But I was thankful to have been able to see so much, especially because most of these sites are rather obscure and are hard to visit if one is predominately using public transportation, as I do.